Leopards + Lions is a line of artisanal bitters, made by hand in Brooklyn, New York. Packaged in authentic 19th century apothecary bottles, Leopards + Lions bitters are individually crafted with organic fruits and flowers, fresh herbs & exotic spices. Last Saturday evening the bar industry from all over the world have celebrating l’excellence of the 2011, here below the winners of every category for the best in the world 2011 . NEGRONI..is it the perfect cocktail? 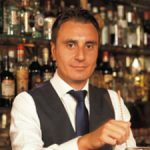 I drunk my first Negroni way back in the early days of my cocktail journey, when I was at school and learning the first steps of this intrigues craft. Tiki will continue its explosion….before flaming out! We will realise very soon a new crop of cocktail cities will claim their rightful place.